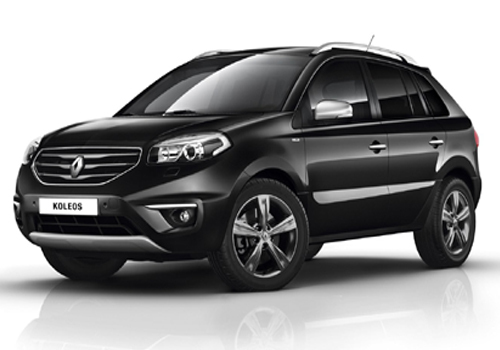 Renault India, the Indian arm of French car maker Renault Motors is working on bringing the facelift version of Koleos during upcoming Indian Auto Expo 2014 and may launch it for sale immediately after the show. When Renault Koleos was launched in Indian car market it received an overwhelming response from customers due it remarkable features and powerful engine performance. However due to its high price buyers hesitated in selecting it and preferred to buy other SUV’s including Fortuner, Endeavour, Audi Q3 and others. At present Koleos is available only in one variant which is equipped with 1995 cc turbo diesel engine developing the power of 148 bhp and torque of 320 Nm. It is coated with six speed automatic transmission system which transits power to its wheels. It is expected that French car maker will continue the same engine configuration in the refreshed version of Renault Koleos. It is speculated that company will continue to bring Koleos through CBU route. Moving towards the cosmetic changes that will be introduced in refreshed Koleos include new grille, new front bumper, new alloy wheels, rear parking camera, seven inch touchscreen infotainment, new color trim combination, improved leather upholstery and many more. It is also rumored that this time company may enhance the power of refreshed Koleos. According to industry experts even after refreshed Koleos it will not be easier for Renault to make its place in Indian car market as company has already announced to hike the price of its vehicle from January 1, 2014. To know more about features available in existing Koleos click here.